A popular phrase in years past was “Life Begins at 60,” but Gary Burton—as he has done so often throughout his career—is rewriting the book on retirement. A popular phrase in years past was “Life Begins at 60,” but Gary Burton—as he has done so often throughout his career—is rewriting the book on retirement. 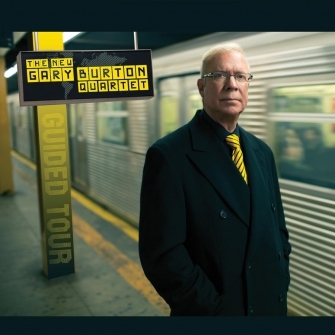 Having turned 70 in January, an age when most artists begin to solely look back, Burton forges ahead with his new Mack Avenue Records album, Guided Tour, which solidifies the reputation of his next great band, The New Gary Burton Quartet. 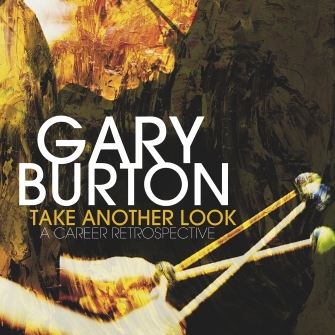 In addition, Burton has literally written the book on his life, saving those backward glances for his upcoming autobiography, Learning To Listen, due on Berklee Press in September 2013. His stature as the former Executive Vice President at the famed Berklee College of Music caps a three-decade life in jazz education, which coincided with his already busy career as a performer and recording artist. Known for reintroducing and expanding the technique of four-mallet playing while crafting one of the jazz world’s signature sounds, he is also celebrating the 40th anniversary of his ongoing collaboration with pianist Chick Corea (winning yet another GRAMMY® Award in 2013 for their most recent project, Hot House). And having established the first on-line courses for Berklee, Burton has recently expanded his web presence to create a course in improvisation for Coursera (the massive online education platform), which, as of two months before its launch, had already enrolled 25,000 students. 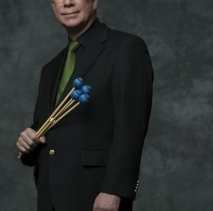 On Guided Tour, jazz’s most innovative and accomplished vibraphonist proves that The New Gary Burton Quartet—which he premiered last summer on his Mack Avenue debut, Common Ground—was no one-trick pony. 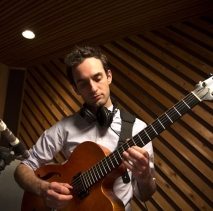 Featuring the prodigal guitar genius Julian Lage as well as two veterans, bassist Scott Colley and drummer Antonio Sanchez, Guided Tour provides a road map to one of the most dynamic bands on the scene today. Apart from their own playing, many of jazz’s greatest figures—Duke Ellington, Charles Mingus, Miles Davis—are also known for the handful of indisputably great bands they led throughout their careers. 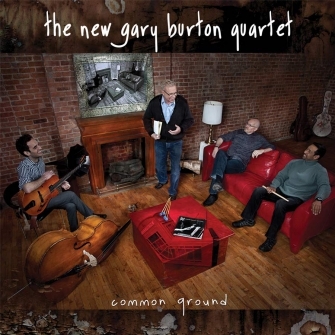 Like them, Burton has assembled a few such Olympian groups of his own: his first quartet, which pioneered the fusion of jazz and rock in 1967; his quintet with Pat Metheny in the 1970s; and now this band, which achieves a rare synergy. As he recounts in the upcoming autobiography, Burton was already a steadily working musician in rural Indiana in his high school years, before heading for Nashville, recording the very first jazz-and-country album (with guitarist Hank Garland), and scoring a major-label record contract—all before entering the Berklee College of Music at the age of 17, in 1960. 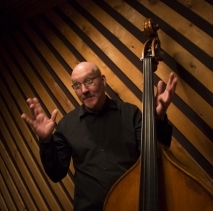 Throughout his career, Burton has “paid it forward,” introducing other precocious young artists to the jazz world—Larry Coryell, Pat Metheny, Donny McCaslin, Makoto Ozone—and Lage, who made his first recording with Burton in 2004 at the age of 15, has continued as the next recruit to that echelon. Lage further develops as a front-line collaborator on this new album, able to match the virtuosity of Burton himself. On Guided Tour, Burton sought out original material from all the group’s members (as he did with Common Ground), illuminating their wide range of cross-cultural musical styles. “They outdid themselves this time,” he says. 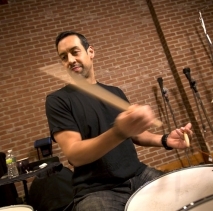 The program includes “Legacy”—a haunting ballad written by Scott Colley to honor his recently deceased father—and the twoAntonio Sanchez pieces that bookend the disc: the splashy Latin-themed opener, “Caminos,” featuring solos from only the percussion instruments (drums and vibes); and “Monk Fish,” a romp on familiar chords infused with the wry humor found in the music of bop-era pianist Thelonious Monk. Three pieces from Lage demonstrate the unusually mature sense of composition that also marks his solos. In “The Lookout,” he cleverly recasts “Careful,” written by the influential guitarist Jim Hall (and one that Burton has recorded, with Hall himself, in the past). On “Sunday’s Uncle,” we find Lage playing what Burton calls “one of his own devilishly challenging melody themes with apparent ease, in counterpoint to my own part—which is considerably less difficult I’m happy to say”—before easing into a particularly memorably solo. And “Helena” exploits the guitar’s Iberian heritage while updating that tradition with complex rhythms and jazz harmonies. What’s more, Burton—a famously reticent composer, who has always relied primarily on others’ compositions for his repertoire—contributed two new songs of his own. He describes the first, a jazz waltz entitled “Jane Fonda Called Again,” as “whimsical and Bill Evans-ish (intentionally so).” He might have added that it subtly recalls some of the legendary composers whose music has dovetailed with Burton’s own throughout his career, such as Steve Swallow, Carla Bley and Pat Metheny; Lage’s solo especially stands out. And Burton’s “Remembering Tano” pays tribute to his “tango mentor,” the master composer and bandoneon player Astor Piazzolla (nicknamed “Tano,” for his Italian heritage); their 1986 collaboration The New Tango opened up a fresh avenue of world-music exploration for the vibist. Two songs from outside the band complete the set list: the stately Michel Legrand ballad “Once Upon A Summertime” and pianist Fred Hersch’s “Jackalope,” written (mostly) in 7/4 time and delightfully unpredictable in its phrasing. For Burton, the proof of this album’s success came several weeks after the musicians had left the studio. “I can't judge an album very well right after I record it, having gone over and over the tracks in editing, mastering, etc.,” he says. “So I always put a new project aside for a month or so, then come back to it and listen with fresh ears—as I imagine a listener might hear it for the first time. And when I did that with Guided Tour, I was struck by the richness of the content, the range of the compositions, and how well the group captured each piece. “And, of course, the superb musicianship, but with players like these, that's a given.” Add in a tour guide like Burton, and the path is clear, on an album likely to rank among the year’s best. 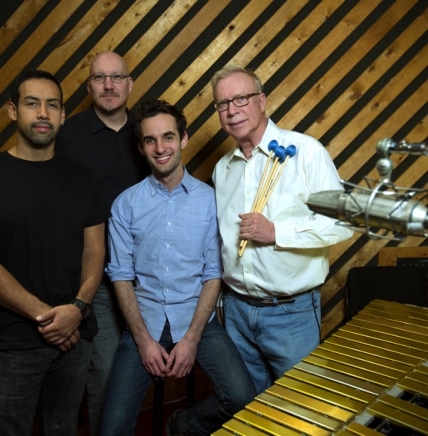 At 70, having already led one of the most remarkable careers in music history, Gary Burton seems to be just warming up, with a landmark year in 2013. It’s the difference between playing with some excellent musicians, and finding a group chemistry that goes beyond that.